Counterpoint Research’s Neil Shah shared via Twitter, on the occasion of HMD’s first birthday, some data about HMD sales performance globally and in some markets. Neil shared that according to Counterpoint’s Q3 report, Nokia was the 8th mobile phone vendor (feature phone + smartphone) in the world in the third quarter of 2017. That’s a respectable ranking, and even more respectable are the rankings for some individual markets Neil shared. For instance, Nokia was the No.5 mobile brand in India, No. 4 in Russia, No. 3 in Indonesia and UK, and the most sold phone brand in the Middle East. These results for Q3 are great, in my opinion. 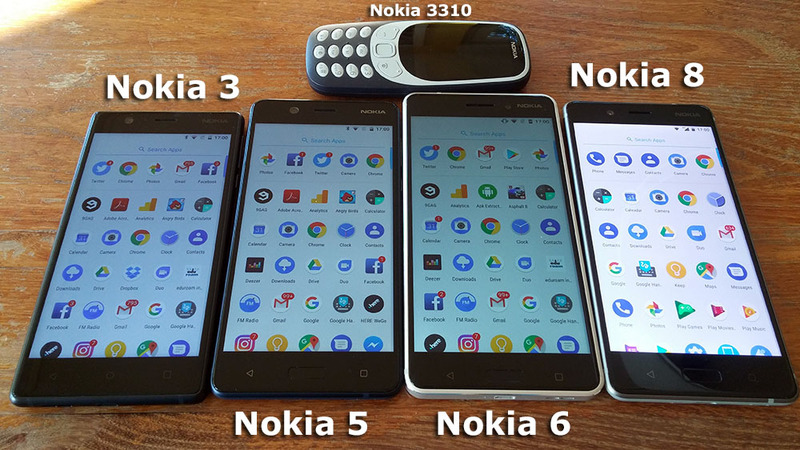 I would like to see how just the smartphones performed, but it is clear that with the 3310 and refreshed 105 and 130, HMD Global revitalized feature phone sales and we can say that their feature phone strategy in the first year of return was on point.